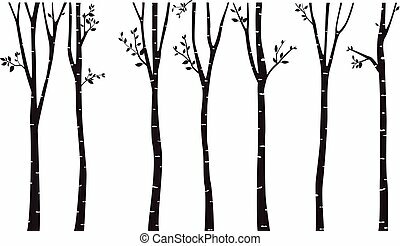 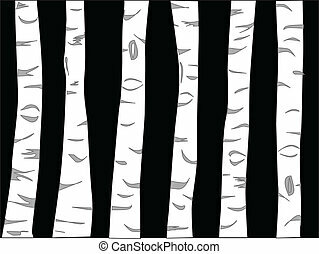 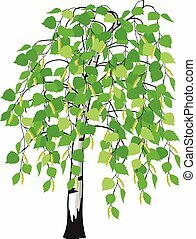 Birch tree. 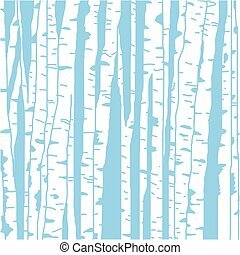 The stylized landscape with a lonely birch. 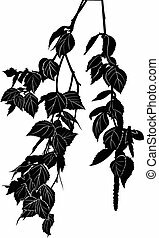 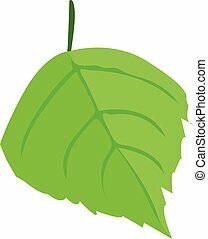 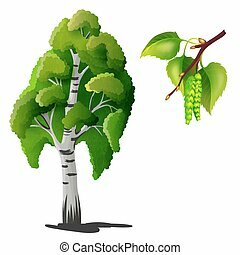 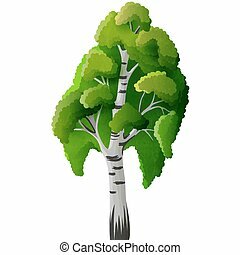 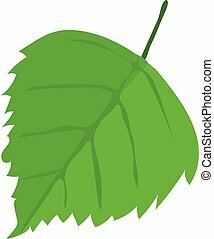 One birch tree leaf on a white background. 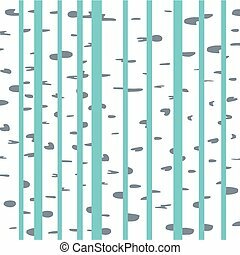 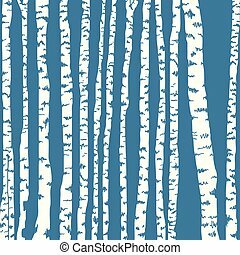 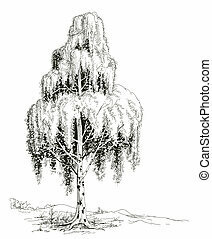 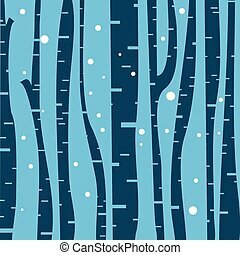 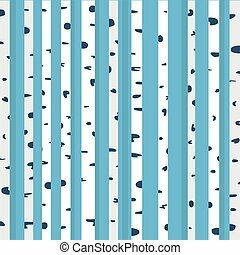 The birch tree with catkins on a white background.